Christopher Wray Is Confirmed As New FBI DirectorThe Senate overwhelmingly approved his appointment, 92 to 5. Trump Nominates Christopher Wray for FBI DirectorWray is a former assistant attorney general — and was Chris Christie’s attorney during the “Bridgegate” scandal. Trump’s Attempt to Find a New FBI Director Is a Predictable MessDuring one candidate’s interview, Trump seemed distracted and only talked about himself, according to Reuters. Joe Lieberman Reportedly Out of the Running for FBI DirectorTrump just lost all his Joementum in the search to replace James Comey. 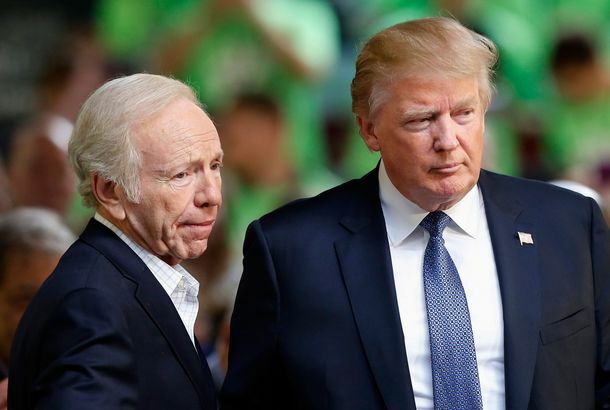 Joe Lieberman Is Donald Trump’s Ideal PatsyThe perfect combination of surface independence and pliability. Joe Lieberman Is on Trump’s Short List for FBI DirectorTrump could use a little Joementum. Mitch McConnell Wants to Steal Another Court Seat From Merrick GarlandThe Senate Majority Leader’s latest devious scheme looks a lot like his last devious scheme. Several Being Considered to Replace Comey, Who Declines Invitation to TestifyPresident Trump says he expects to make a decision on Comey’s replacement soon and has reportedly been considering “loyalty” as a criterion. Acting FBI Director Tells Congress Comey Had ‘Broad Support’ Within BureauMcCabe undermines the White House on two big fronts, while giving assurances that the administration has not tried to interfere in the Russia probe. Will Former NYPD Commissioner Ray Kelly Be the Next FBI Director?His name has bubbled to the top of the list, but some other contenders are emerging.